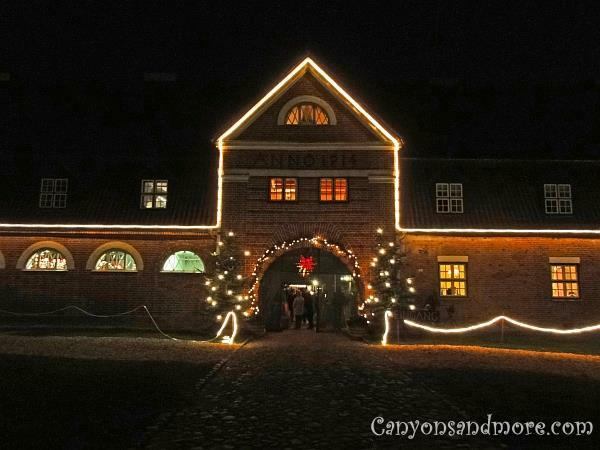 More and more estates in Germany are opening their doors to the public at Christmas. Because the locations are out in the country and away from the hectic of the city, the markets have a more quaint and quiet feeling to them. 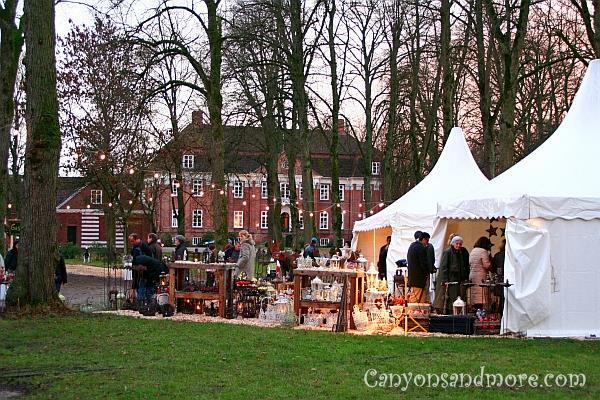 The estate at Pronstorf has about 100 stalls for the visitors to enjoy as well as several programs for the kids as well. A fee is required to enter the market. It is 5 Euros per adult in the year 2014. 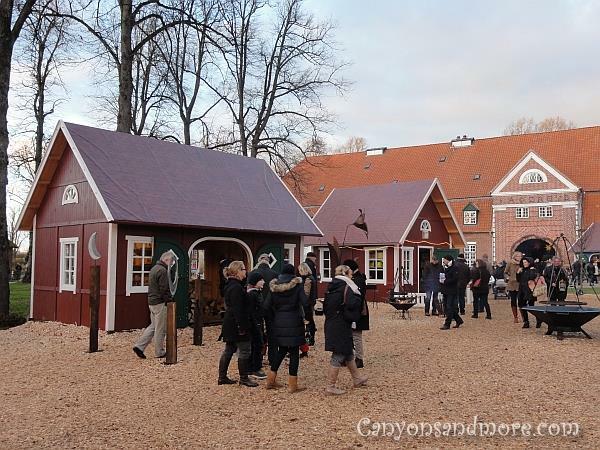 Once inside the grounds, there are several stalls outdoors in Swedish cabins (formely tents) as well as possibilities to enter the buildings to see more. The market in Pronstorf has changed its look over the years. Where as the stalls used to be in white tents, now small wooden Scandinavian looking cabins have been built to replace the tents. This makes the market have an even more charming and rustic look to it. Once you have finished looking at the market outdoors, you can go inside the designated horse stalls and barns and see even more local merchants selling their goods. While there, get a bite to eat and enjoy a mug of hot punch to warm you up. The image above shows the small but quaint market that lasts several weekends before Christmas. 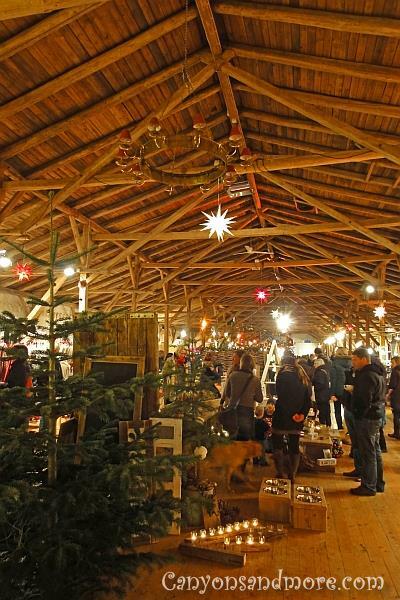 It is located at a local estate of the town of Pronstorf and offers visitors a lot of possibilities, purchase home made goods, handcrafted gifts and other items for home and garden. Some vendors handcraft their items on location, so you can watch create new items, too. During the day, you can enjoy walking through the little village within the estate grounds. As evening approaches, the cabins get lit up and it looks especially welcoming. The entrance to one of the buildings. This is the indoor market area. It is located in a very large wooden building with two floors. This image shows the upper floor. The items that get sold here are from local residents from nearby towns. Some vendors sell handknitted socks, hats and scarves while others sell wood crafts that they made themsselves. You will also find a large selection of handcrafted jewelry, felted items, cards and paper crafts. 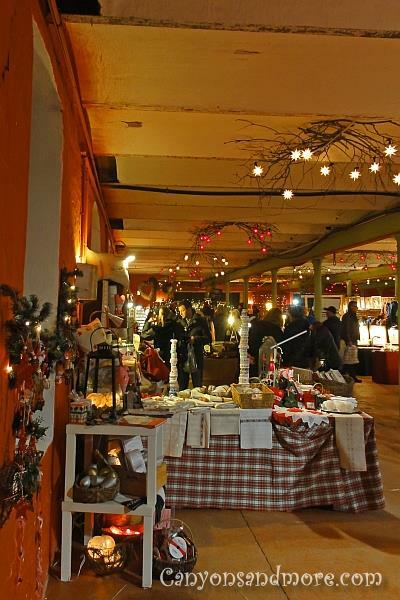 The downstairs area of the market is also full of handcrafted items. 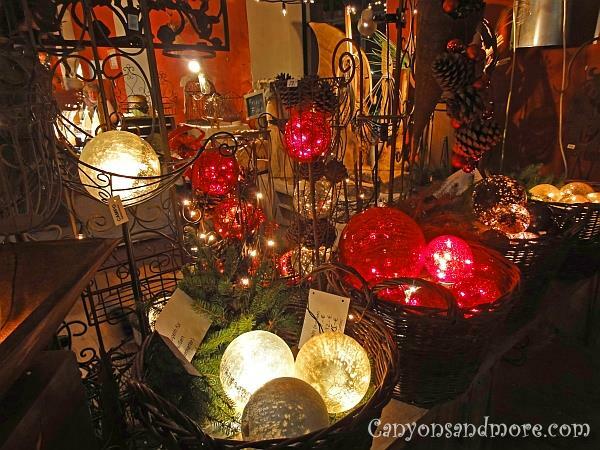 Christmas decorations from all sorts of materials, handcrafted pieces of jewelry, leather goods, clothing, knitted wares and wood crafted items are just a few of the many types of novelties you will find here. This is an image of how the market outdoors at Pronstorf used to look like once you pass through the main entrance. The tents are scattered all over the area. You could walk from tent to tent and find many types of handcrafted items. If you are looking for something special for the kitchen, here you will not be disappointed. 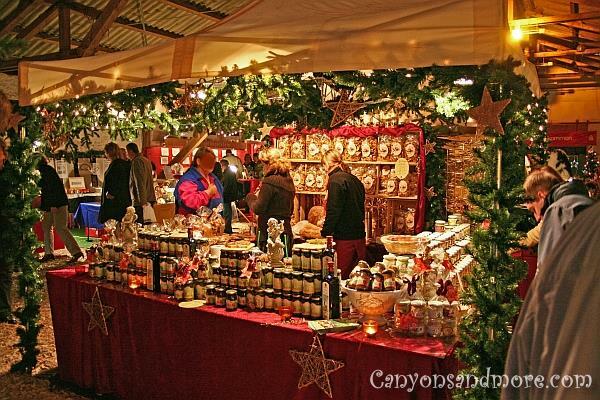 Everything from honey, spices, jams, noodles, brandy, breads and other culinary items from local residents can be found. 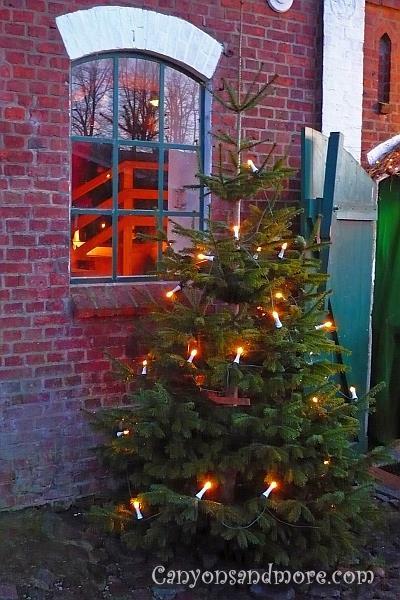 The winter time of the year is very dark in the northern area of Germany. It does not get light outdoors until around 8 in the morning and already at 4 in the afternoon it is getting dark again. Vendors at the Christmas markets do well selling these hand made light balls. The nice thing about such small town markets is that many vendors handcraft the items they are selling. 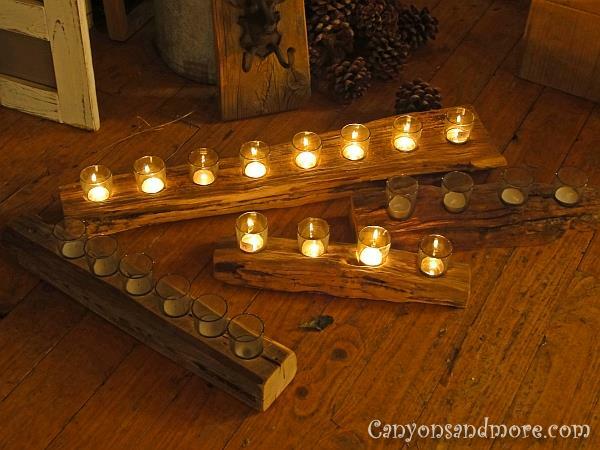 This is a chance to purchase unique and quality items such as these driftwood candleholders. 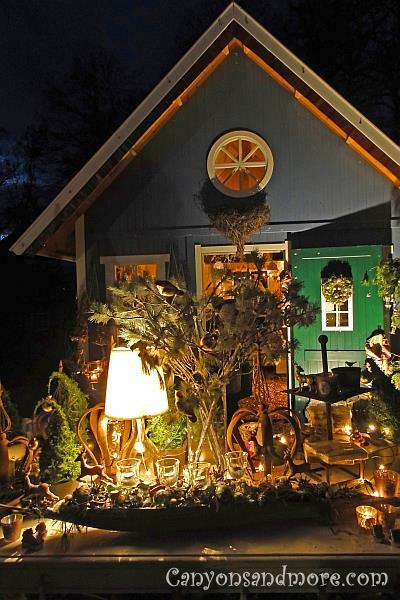 Now the vendors sell their wares in little Swedish type cottages which adds a lot more country flair to the whole setting. If you come in the late afternoon or when you leave, this is how the entrance and exit looks of the estate.